PLAIN TWP. Scott Garcia’s team had just clinched a share of his fourth Federal League title — although it was little uglier than he would have liked — and as the Golden Eagles gathered around him on the field after Friday’s 42-17 win over visiting Hoover, the GlenOak High School football coach singled out one player above all. Then, after praising quarterback Brennon Tibbs — “Way to lead us in the second half” — he made one thing clear. The Golden Eagles (7-2, 5-0), who clinched their seventh Division I playoff spot in Garcia’s nine years, were expected to roll past a rebuilding Vikings team that has played seven teams with winning records this season (and lost by at least three touchdowns in all of them). But after falling behind 21-7 late in the second quarter, Hoover’s Nathan George scored on a 1-yard touchdown just before halftime to make things interesting. 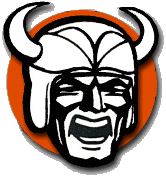 Hoover then nearly tied it late in the third quarter — a would-be 23-yard touchdown pass went through a Viking’s hands in the end zone — before settling for a 33-yard field goal from Eric Sarbaugh. Tibbs scored on a 28-yard touchdown run early in the fourth to make it 28-17, but Hoover nearly got back in it on an 80-yard touchdown pass from John Keller to Donny Genetin that got called back by a holding penalty. From there, GlenOak poured it on, getting touchdown runs from Wise (7 yards) and Tibbs (43 yards) to close it out. “It didn’t show on the scoreboard, but we gave GlenOak everything we have,” Hoover’s first-year head coach, Brian Baum, said. “When you can battle a good team like that, it shows the progress your boys are making and as a coach, you feel proud. That depth starts in the backfield, as seven different players carried the ball. Senior Cameron Cubilla led the way with 16 carries for 131 yards and a touchdown, while Tibbs had 13 carries for 84 yards and Wise added 69 yards on seven carries. “I knew the score was too close,” Wise said. “We needed to find a way to respond and we responded. Nathan George carried 16 times for 150 yards and two touchdowns for Hoover (2-7, 1-4), which finishes up against Jackson next week. GlenOak, meanwhile, can win Garcia’s third outright league title by beating Perry on Friday.